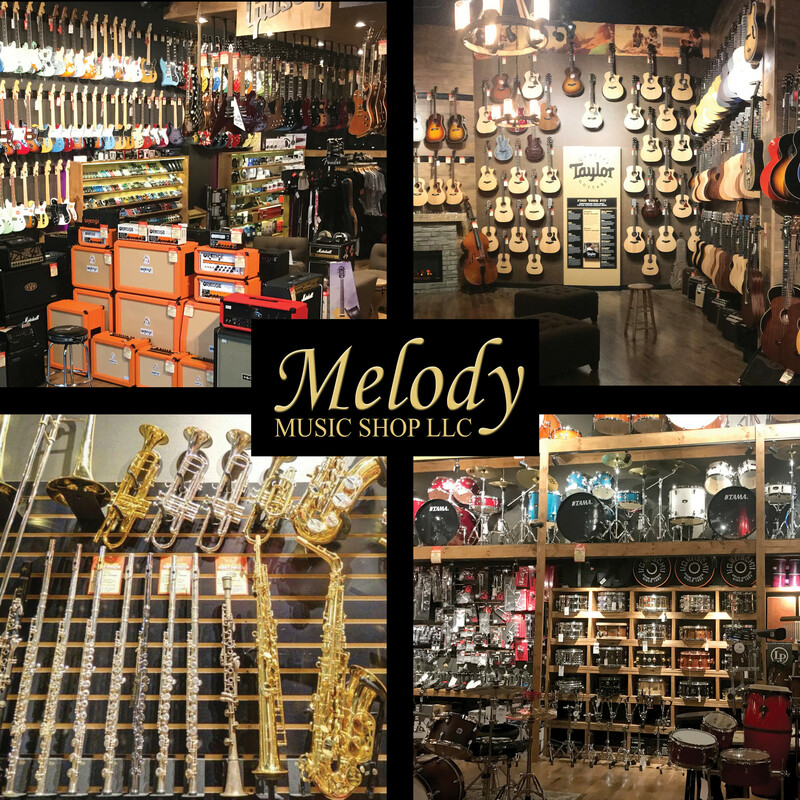 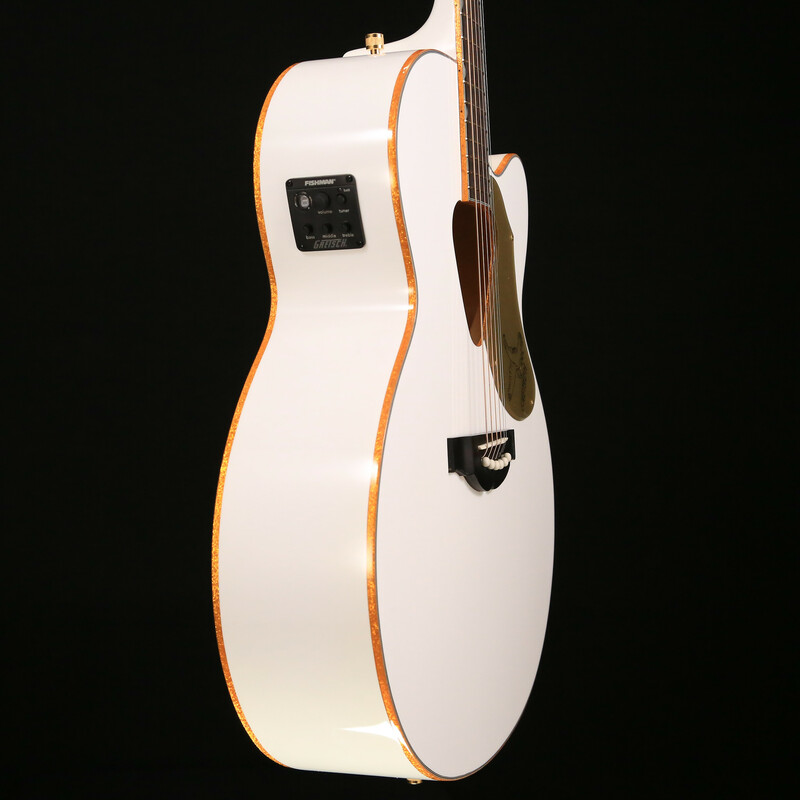 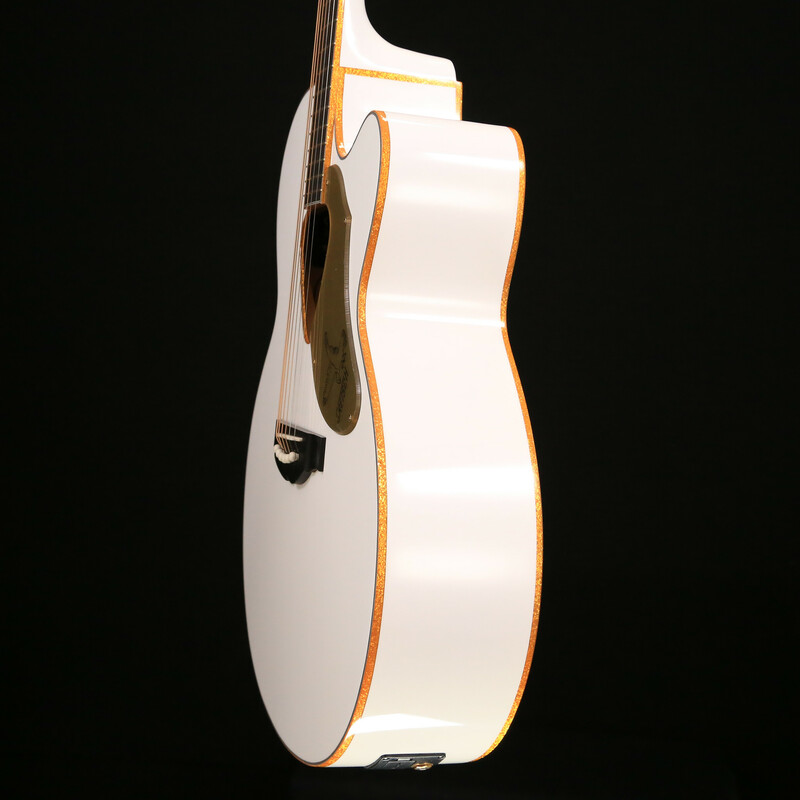 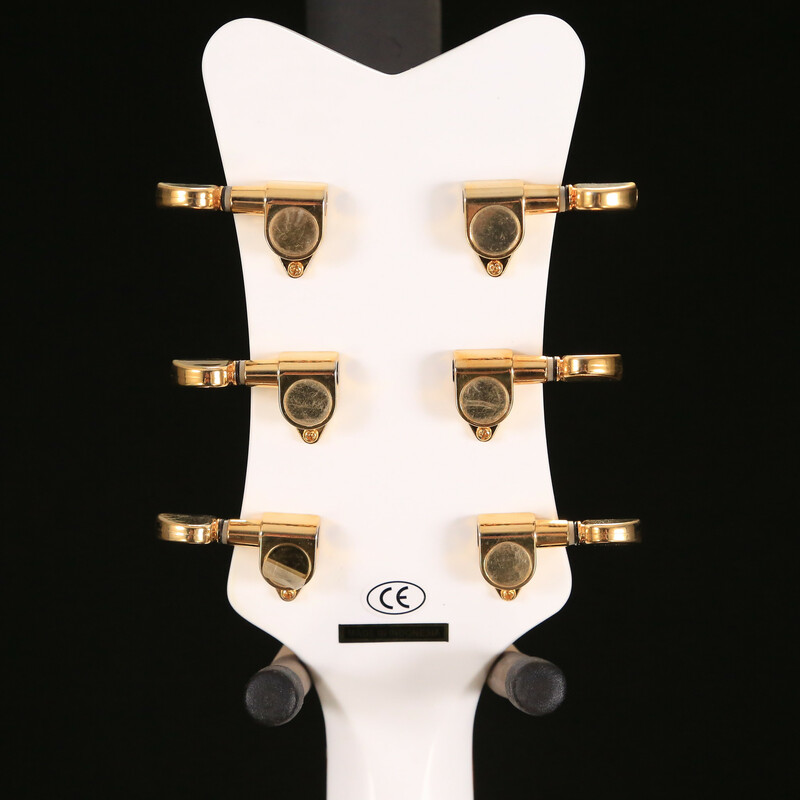 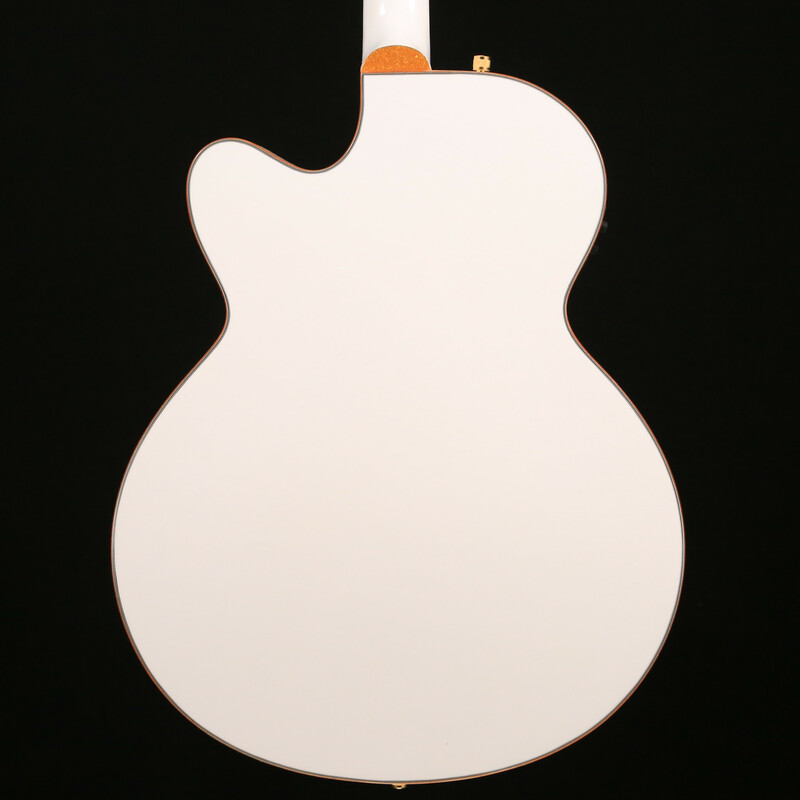 Its jumbo cutaway body includes dazzling gold-sparkle binding on the top, back, sound hole, fingerboard and headstock. 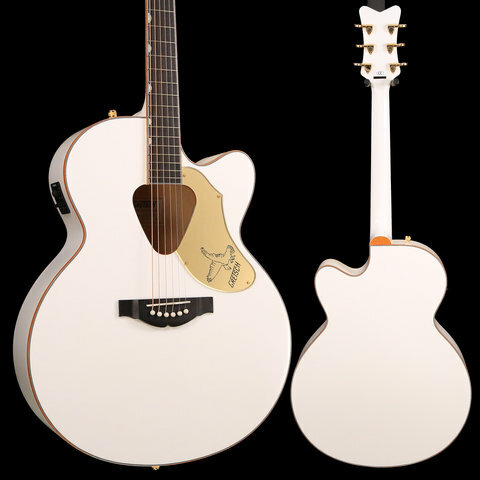 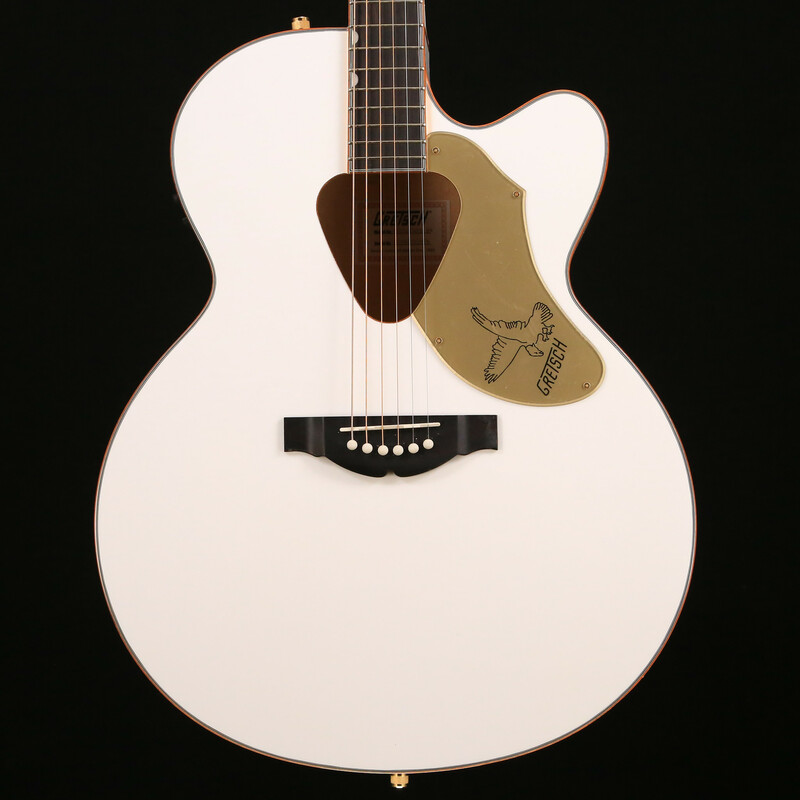 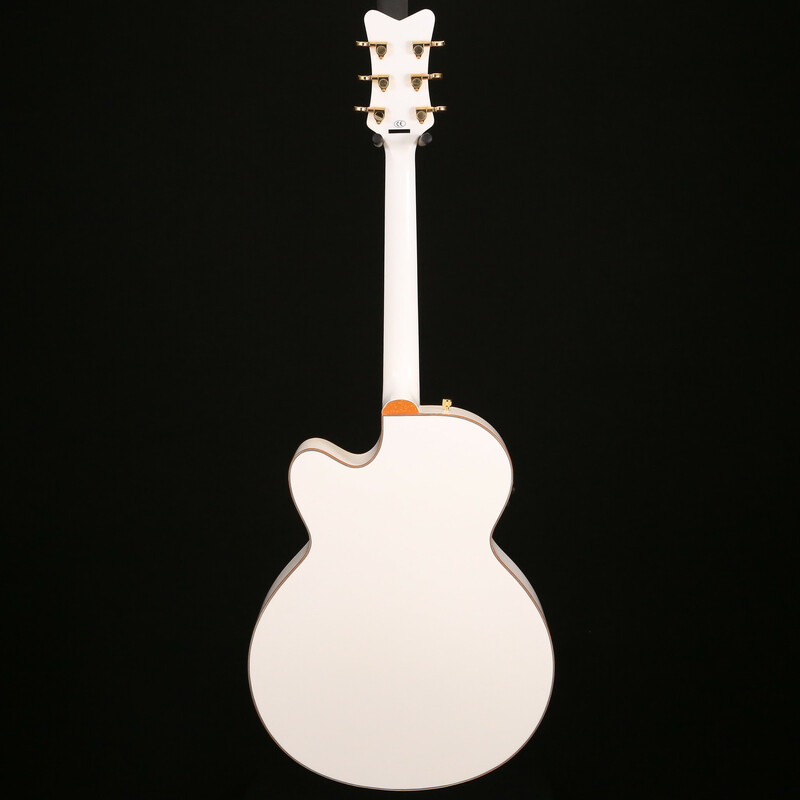 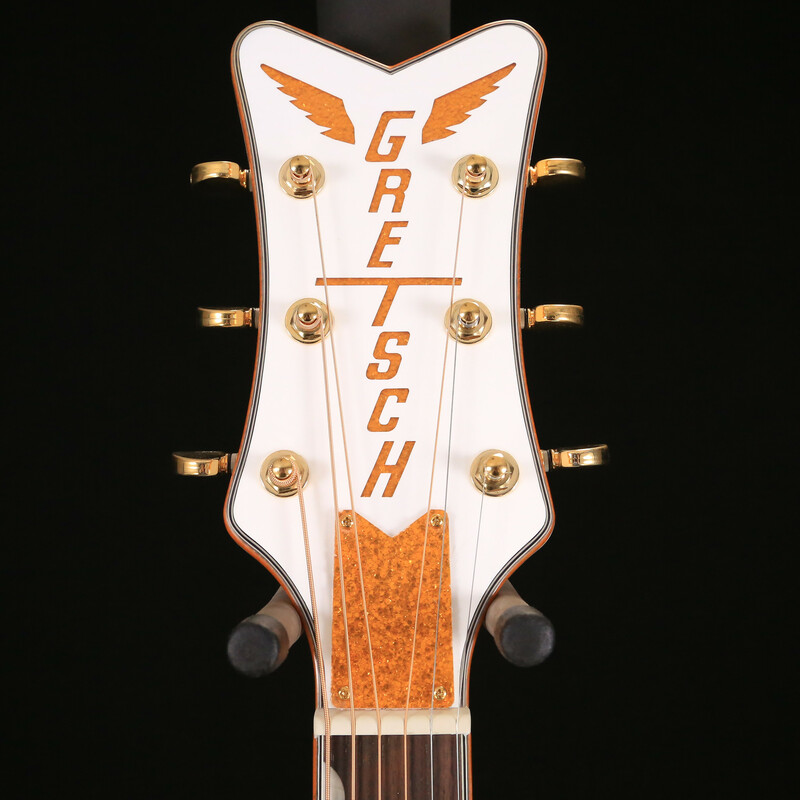 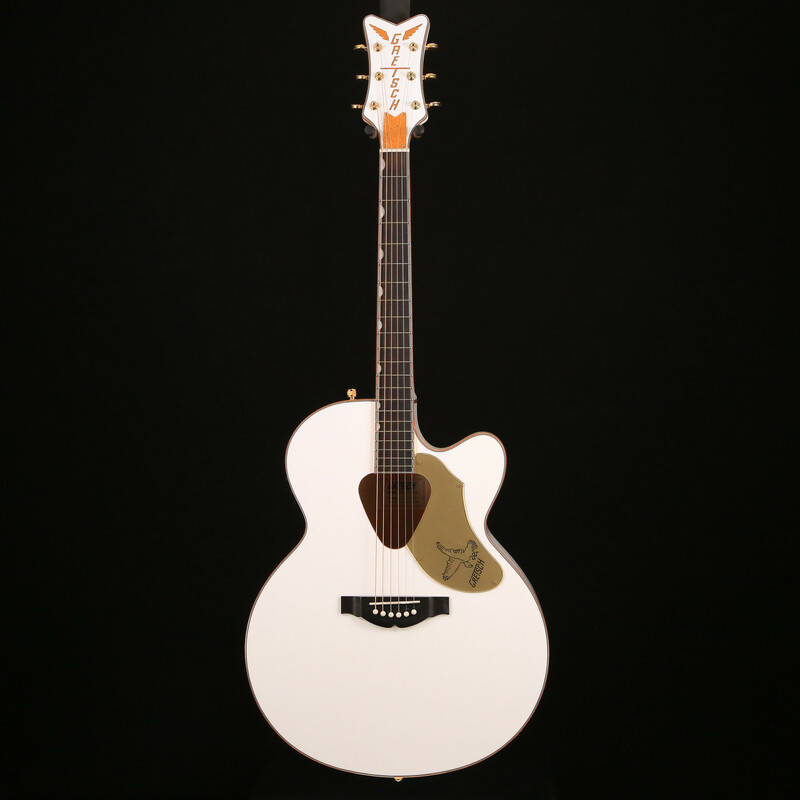 Other premium features include a solid spruce top with scalloped "X"-bracing and classic Rancher triangular sound hole, maple sides and arched back, mahogany neck, 21-fret rosewood fingerboard with Neo-Classic "thumbnail" inlays, "V"-shaped headstock with vertical winged "Gretsch" sparkle logo, compensated bridge with rosewood base, deluxe tuners, and gold-plated hardware. The Fishman Sonicore under-saddle pickup and Isys+ preamp system provide great amplified performance and flexible sonic control, with volume, tone and phase controls, onboard tuner and battery life indicator.